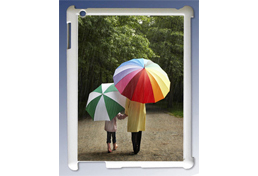 Make your iPad different from all the rest with a personalised iPad cover. It’s easy to design your own individual cover using a single stunning photo. Or you can create a unique collage using all your favourite pics. You can even add words, borders and extra graphics to make your iPad a real one-of-a-kind!